That’s what Manitoba Premier Sir Rodmond Roblin told suffragist Nellie McClung in 1914, two years before women first won the right to vote in the country. It’s also the name of the newest exhibit at the Canadian Museum of History in Ottawa, which launched on October 5 during Women’s History Month to celebrate the centenary of women's suffrage in Canada. 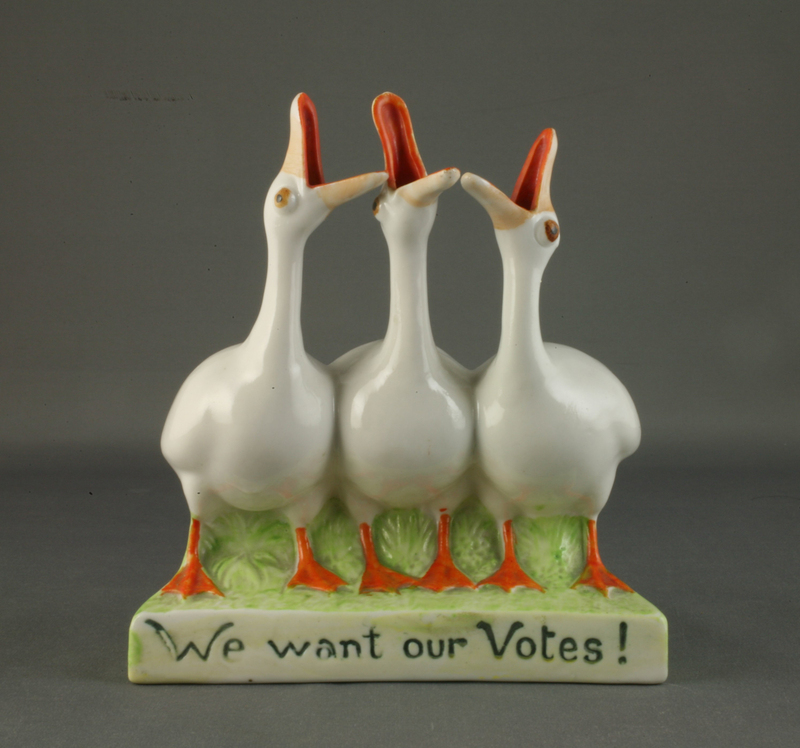 Developed by the Manitoba Museum, “Nice Women Don’t Want the Vote” explores the historical context of the women’s suffrage movement through artifacts, sound clips and photographs. 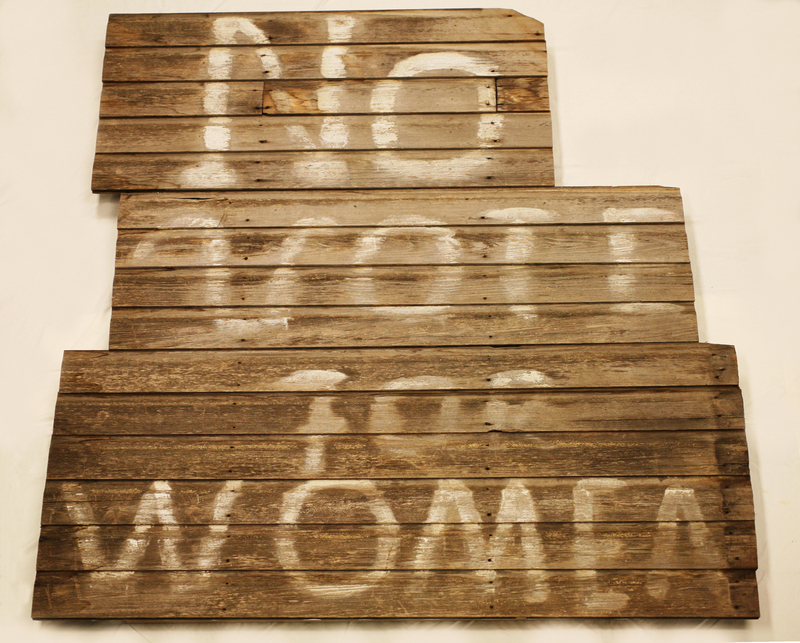 The display reveals the struggle faced by suffragists at the time, including the decades-long fight to secure the right for indigenous women and women of colour to vote, as well as tensions within the movement and within the families of the women involved. The display also features a ballot box, where visitors can write to the suffragists of the past and share their thoughts on the importance of universal franchise. Here are some of the interesting artifacts from the exhibit, which will be on display at the museum until March 12, 2017. Pennants and sashes were used to express loyalty to the cause. 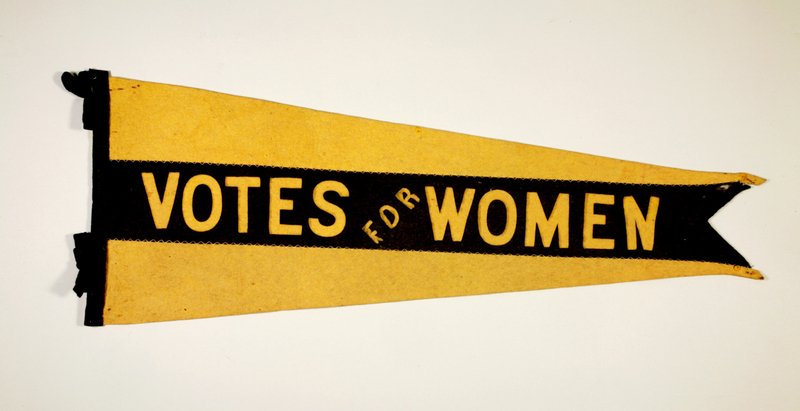 The use of the colour gold in the North American women’s suffrage movement has its origins in the sunflower, a symbol of Kansas, where an early campaign was defeated in 1867. This is a section of exterior wall from a house that formerly stood just north of Portage la Prairie, Manitoba. The woman living in the home painted “VOTE FOR WOMEN” on the side of her house so that it could be seen from the road. Her husband later painted “NO” above this sign. Mae Irene Whyte (1885–1962) moved from Ontario to Winnipeg in 1912 with her brother to look for work and became a dedicated suffragist. 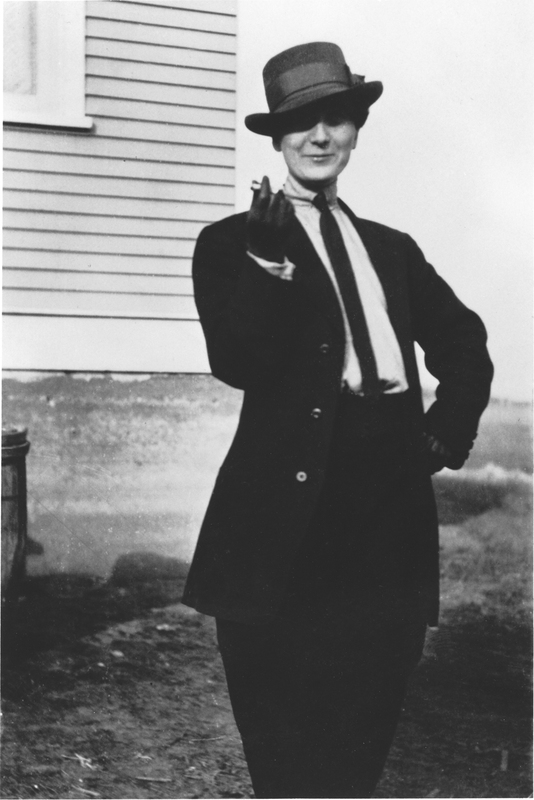 In this photograph, she is dressed as a man to attend a “burlesque” with her brother at the first Calgary Stampede.